Long-distance JetBlue flights are about to get a lot more entertaining for Amazon Prime members. Today, the two companies announced a partnership that will allow Prime members free in-flight Wi-Fi access to the tens of thousands of titles available for streaming on Amazon Instant Video. As an Amazon Prime customer, not only will you have access to the award-winning slate of Prime Instant Video titles like Transparent, but you’ll also be able to stream from Amazon’s library of over 1,000,000 songs and download e-books to read while in flight. Non-Prime travelers will be able to access the Amazon site for free, enabling the rental of movies and the download of games and apps on the Amazon App Store. This cross promotion sounds like a slam dunk for both companies. I regularly purchase in-flight Wi-Fi on my cross-country plane flights just to have something to do, but it’s a huge expense – often $30 or more. And most airlines won't let you stream video in-flight. With Amazon Prime memberships sitting at $99 per year, it would only take 3 or 4 flights to recoup that cost. And when you throw in other Prime benefits like free 2-day shipping on most items, access to the Amazon e-book lending library, unlimited photo storage and more, it makes a lot of sense for frequent JetBlue flyers to check this promotion out. 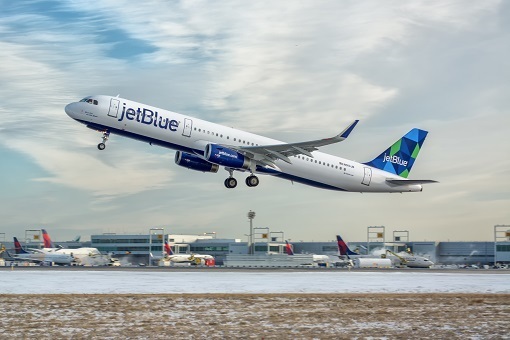 Free access to Amazon Prime will be going live on all JetBlue Airbus A321 and A320 planes “later this year.” The service will expand to JetBlue Embraer E190 aircraft sometime in 2016. To learn more about Amazon Prime, visit Amazon.com/prime.